Wilsonart® Quartz surfaces are non-porous, formulated to stand up to the harshest environments and do not require sealing. They are highly resistant to chemicals, stains, heat and moisture. 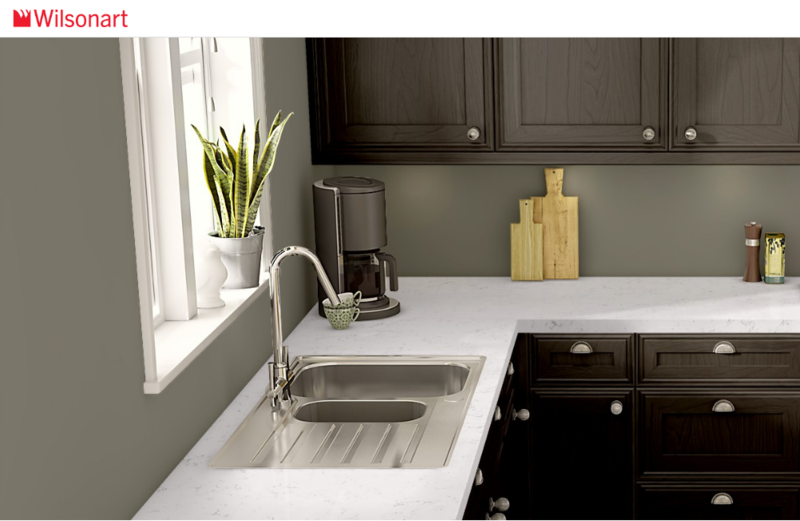 For everyday cleaning, simply wipe your Wilsonart Quartz countertop with a soft cloth, soap and water. A mild household cleaner such as Windex®, Green Works® or 409® are acceptable. After cleaning, wipe the surface completely dry to avoid streaks. Spills should be wiped up immediately. Abrasive pads and powders can damage the finish of the surface. To avoid dulling the Wilsonart Quartz surface, use non-abrasive cleaners, pads and sponges. DO NOT USE: bleach, oven cleaners and abrasive pads or powders (i.e. Ajax®, Comet®, etc.). Wilsonart Quartz is extremely heat resistant and can take temperature changes that most other surfaces cannot. However, all surfacing can be damaged by extreme temperature changes, both prolonged and sudden. Wilsonart recommends the use of trivets or hot pads when placing hot skillets, pans or other heat generating kitchenware on the surface. DO NOT place hot cookware directly on any Wilsonart Quartz surface. ects of any strong chemical or solvent.